For the third year, in what is becoming an annual tradition here at CarSalesBase, we are using the incoming new year as motivation to reflect back at the previous year and look at its success stories (see here for the 2016 success stories, and here for the 2016 disappointments). Also find our disappointments of 2017 and our predictions for 2018. Let us know in the comments below if you agree or disagree! A new year is always a nice opportunity to reflect on the past year and in our case, that means looking at which cars have sold surprisingly well China in 2016 and which do we expect to surprise in 2017. We’ll also look at which cars or brands have disappointed from a sales volume point of view in a separate article. Click the following links to check back on last year’s surprises or disappointments. Also find our success stories for 2016 in the US and Europe and our predictions for China in 2017. I’m short of superlatives to describe how sales of domestic brand crossovers in China have exploded in 2016. More than 5 million domestic Chinese crossovers were sold in the first 2016, that’s more than the entire car markets of Germany and Spain combined! In a market up 17%, crossovers and SUVs from Chinese brands increased their sales by 50,6%. In comparison: sales of import brand crossovers increased 29%, faster than the overall market but just over half the growth rate of their domestic rivals. This also means that the share of Chinese brands in the crossover segment grew to 57,4%, much higher than their share of the overall market, which also grew to an all-time high of 37,3%. The share of domestic brand crossovers and SUVs in the overall market grew from 16,3% in 2015 to 21,4% in 2016. The cause of this impressive surge? A flood of hot new models, aimed directly at the needs and desires of the Chinese new car buyer, with prices so low import brands can’t match them and ever-improving design and quality, both exterior and interior, and most equipped with ever-larger infotainment touch screens on top of the center console. No less than 29 new nameplates were introduced in the first 11 months of 2016, of which 3 from all-new brands: Borgward, SWM and Hanteng. A new year is always a nice opportunity to reflect on the past year and in our case, that means looking at which cars have sold surprisingly well in 2016 and which do we expect to surprise in 2017. We’ll also look at which cars or brands have disappointed from a sales volume point of view in a separate article. Click the following links to check back on last year’s surprises or disappointments. The third generation Superb has been an instant hit, breaking all records of its predecessors. In 2016 alone, approximately 86.000 Superbs were sold (79.200 through November), one sixth of its cumulative total of 518.000 European sales in 15 years and three generations. The Superb has improved with every generation: the first generation, which basically a long wheelbase Volkswagen Passat with a Skoda grille, sold an average of 15.500 annual units during its 7-year long career. The second generation with the double trunklid took the model to the next level with an average of 46.200 annual sales in its equally long career, peaking at 56.000 in 2011. But when the third generation launched in 2015 the Superb achieved new heights: its previous annual record has been smashed by 50% and for the first time the nameplate took 2nd place in the midsized segment, behind the Passat but comfortably ahead of segment mainstays like the Opel/Vauxhall Insignia and Ford Mondeo. All on the same recipe as before: value for money, conservative styling, and above average interior room. For the second year, in what we hope will become an annual tradition here at CarSalesBase, we are using the incoming new year as motivation to reflect back at 2016 and look at its success stories (see here for the 2015 surprises, and here for the 2015 disappointments). Let us know in the comments below if you agree or disagree! For the past two decades, ever since Ford decided to make Jaguar into a global competitor to luxury car brands such as Audi, BMW and Mercedes-Benz, the British brand has suffered from false dawns and unfulfiffled promises. After doing surprisingly well in the US selling the much-derided X-Type and the uber-conservative S-type, with sales peaking at over 61,000 units in 2002, things took a turn for the worse, with sales dropping to around 15,000 a year, where they have been up until 2015. 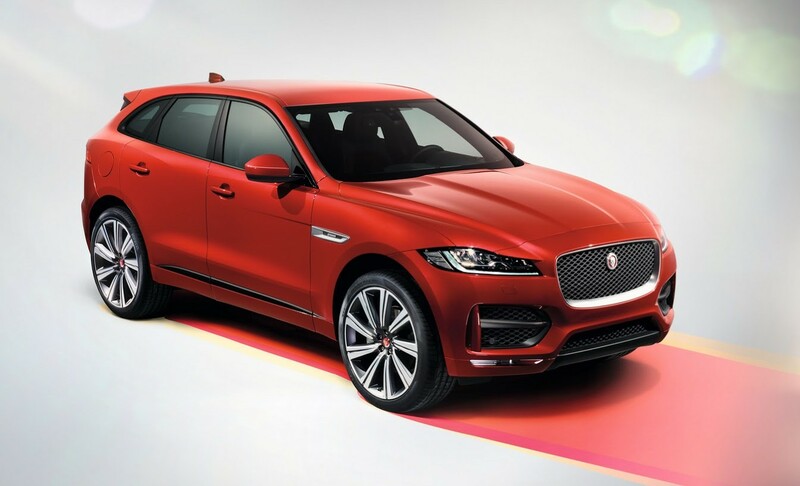 This year, however, Jaguar is looking to sell over 30,000 cars for the first time in over a decade, more than doubling last year’s sales. The reason for this upswing is a barrage of new models, with particular success coming from the F-Pace SUV and the mid-sized XE (averaging about 1,500 and 1,000 units per month, respectively). The only bligth on the brand’s copybook is the relative failure of the new large XF to connect with the buyers, with sales in recent months substantially below the levels reached by its predecessor this time last year, no doubt hurt by cannibalization from its new stablemates. For decades, the US commercial van market has been dominated by three old-fashioned and inefficient models: the Ford E-Series, the Chevrolet Express (and its clone GMC Savana) and Dodge Ram Van. In 2001 the Sprinter was added as a kind-of replacement to the Ram Van, which stood out because of its unibody layout. Although the Sprinter, first as Freightliner, later also as Dodge, then RAM and now as Mercedes-Benz, has enjoyed continued growth, it took Ford until the second half of 2014 to see the benefits and replace its ageing E-Series with the Transit, also based on a European design. And with the Sprinter now under the Mercedes-Benz brand since the demerger of DaimlerChrysler, FCA launched the RAM ProMaster in 2014 as well, which is a rebadged Fiat Ducato. And the result has been a sales success for the “Euro-vans”, helped undoubtedly by a recovering economy, as businesses are starting to replace their aging vans after postponing that investment during the crisis years. But also because of their better fuel economy, more cabin space, better ride and greater choice of size configurations. 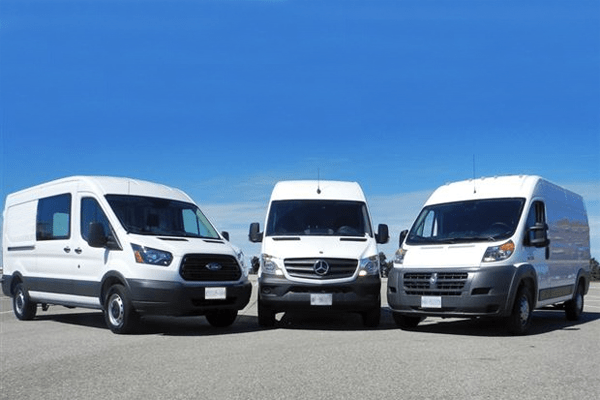 In the first 11 months of 2015, these three models accounted for 53% of total large commercial van sales in the US, up from 18,5% in the same period of 2014. To put it in numbers: the Ford Transit, Mercedes-Benz Sprinter and RAM ProMaster sold a combined 155.000 units, a tripling of their volume of 47.878 units a year earlier and they helped boost the segment as a whole increase 13,3% to 292.271 sales. That means the “traditional” body-on-frame vans lost 34,6% of their volume, or if we don’t include the Ford E-Series which is being replaced by the Transit, the Chevrolet Express and GMC Savana were down 23,7% and the Nissan NV was up 12,7% but with the smallest volume of all competitors. 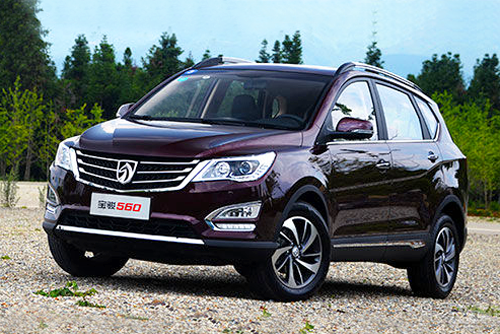 A lot of brands and models have done exceptionally well in China last year, but the models that stand out from the crowd are the affordable crossovers from Chinese brands, with the Baojun 560 as the absolute pinnacle. Deliveries of the 560 started in July, it was the brand’s best selling model by September and in October Baojun (a Joint Venture between General Motors and SAIC) sold more than 30.000 units of the crossover, and again in November, totaling over 110.000 sales in just 6 months time. The biggest domestic automaker Changan also benefited hugely from its already existing two crossovers: the CS35 and CS75 more than doubled to a combined 323.000 sales in 11 months, helping the Changan brand move from #10 best selling brand in 2014 to #7 last year. Other brands have seen their sales multiply thanks to their crossovers, some of which take more than 90% of brand sales within a few months after their launch. The most striking example is the GAC Trumpchi GS4, which sold more than 108.000 units from May till November and made up 87,8% of GAC Trumpchi brand sales in November. But also the Brilliance V3, which sold over 54.000 units in that same time period and took 81,4% of brand sales, cannibalizing its larger sibling Brilliance V5. To a lesser degree the list continues with the MG GS, which sold over 37.000 copies between February and November, and the Leopaard CS10, which sold over 29.000 times between April and November and boosted Leopaard brand sales more than fivefold in November. Soueast introduced the DX7 Bolang in August and already sold over 21.000 units of the crossover, which helped Soueast from a YTD score of -14% at the end of July to +17% at the end of November, when sales more than doubled. The Yema T70 is the record holder of relative sales, taking 90,6% of total brand sales in November. And then there’s Haval, the SUV brand from Great Wall. 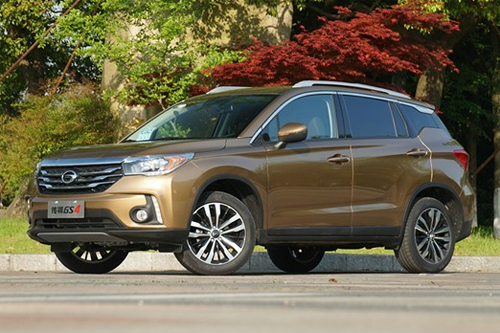 Sales of their line-up of 7 crossovers sold 50% more units than in 2014 and the brand broke through the half a million sales barrier for the first time, and did that in October already, and they’re likely to finish 2015 with 650.000 sales. That means they’ve gone from #16 in the brand ranking (and 6th domestic manufacturer) in 2014 to #10 (and 3rd domestic). A total of 2,9 million SUVs from domestic Chinese brands have been sold in the first 11 months of 2015, that’s an increase of a whopping 87,7% on the same period of 2014, while the overall market is up “just” 7,27%. A new year is always a nice opportunity to reflect on the past year and in our case, that means looking at which cars have sold surprisingly well in 2015 and which do we expect to surprise in 2016. We’ll also look at which cars or brands have disappointed from a sales volume point of view in a separate article. Even though sister brand Nissan has sold over a million units of the Qashqai compact crossover in just the past five years, Renault didn’t even have a competitive entry in the hot-selling segment. The Samsung-built Koleos peaked at just 21.000 sales in 2009 and dwindled to a third of that volume last year, for a paltry 0,7% share of the midsized SUV segment. 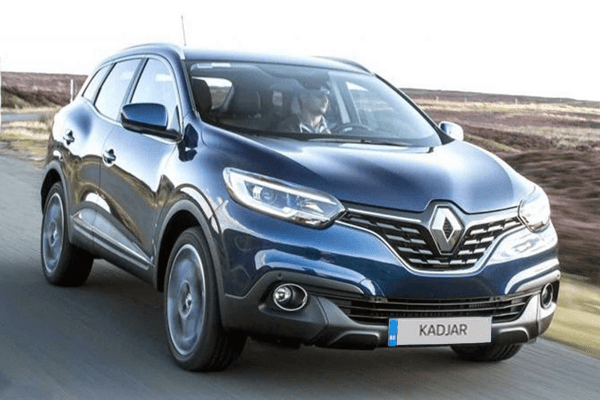 This year, Renault finally introduced the Kadjar, based on the platform of the Qashqai but with its own styling and even different dimensions. It has been an instant hit: over 9.000 sales in November put the Renault Kadjar ahead of the Ford Kuga and Kia Sportage to claim third place of the podium in only its sixth month of customer deliveries, behind only the Qashqai and the Volkswagen Tiguan. It even stayed ahead of the also renewed Hyundai Tucson, which replaces the ix35, which is has been the #3 of the segment until now. Hyundai therefore already has a solid base of faithful customers, which makes it even more impressive of the Kadjar to strike so hard out of the blue.